This weekend only, DiscountMags is having an EGG-stra Sale and offering up to 95% off over 175 cracking good titles. And, you can choose to have a free e-card sent to the recipient at checkout. After all, a magazine subscription lasts longer than chocolate! Also, free shipping is included on all subscriptions. Sale ends Sunday night. This weekend, DiscountMags is having a Multi-Year Sale with magazines as low as $0.31 an issue. Also, free shipping and no tax is included with all subscriptions. Today only, DiscountMags is having a Cozy at Home Sale and featuring popular Home & Garden magazine titles from $4.95 per year. 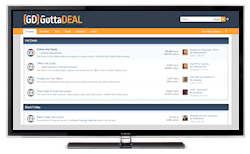 You will also get free shipping and pay no tax on all subscriptions. This weekend only, DiscountMags is having a Pop-Up Sale and offering up to 90% off over 80 magazine titles. You will also get free shipping and pay no tax on all subscriptions. Today only, DiscountMags is having a Fall into Fitness Sale and offering Health & Fitness Favorite Magazines as low as $0.38 an issue. Also, free shipping and no tax is included on all subscription orders. 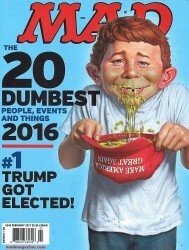 DiscountMags is having a 4 for $16 Sale and offering your choice of any 4 magazines from over 75 titles for only $16.00. Free shipping and no tax is also included with all subscriptions. Deal ends Sunday night. Today only, DiscountMags is having a Science & Tech Blowout Sale up to 90% off over a selection of best-selling "Smarty Pats" magazine titles with prices starting at only $4.99 per year. Free shipping and no tax is included with all subscriptions. DiscountMags is having a Fall For It Sale and offering up to 90% off over 100 magazine titles with prices starting at only $4.95 per year. Free shipping and no tax is included with all subscriptions. Sale ends Sunday night. Today only, DiscountMags is having a Kids Pop-Up Sale with up to 65% off popular magazine titles for kids ages 2 through 14+. Free shipping and no tax is also included on all subscriptions. DiscountMags is having a 48-Hour Sale with up to 92% off over 50 best-selling magazine titles. Pay just $4.80 per year. You will also get free shipping and no tax on all subscription orders. Sale ends Sunday night. Today only, DiscountMags is having a Fall Food Fest Sale and offering up to 88% off Food & Cooking best-selling magazine titles. Prices start at only $4.95 per year. You will also get free shipping and no tax on all subscriptions. DiscountMags.com is having a Labor Day Blowout Sale featuring hot magazine titles in all categories starting at only $4.50 per year. You will also get free shipping and no tax on all subscriptions. Sale ends Tuesday. Today only, DiscountMags.com is having a Velvet Rope Sale and offering a selection of Celeb & Entertainment best-selling magazine titles starting only $0.33 per issue. You will also get free shipping and no tax on all subscriptions. This weekend, DiscountMags.com is having a Summer Send-Off Sale featuring the season’s top 100 best-selling titles starting at only $4.95 per year. You will also get free shipping and no tax on all subscriptions. Sale ends Sunday night. This weekend only, DiscountMags.com is having a Multi-Year Sale featuring tons of hot magazine titles starting at only $3.32 per year. Free shipping and no tax is also included on all subscriptions. Today only, DiscountMags.com is having a Play All Day Sale and offering up to 85% off Hobbies & Comics magazine titles. You will also get free shipping and no tax on all subscriptions. This weekend, DiscountMags.com is having a 3 for $12 Shopping Spree and offering over 75 best-selling magazine titles - your choice of any 3 for $12.00. You will also get free shipping and no tax on all subscriptions. Sale ends Sunday night. 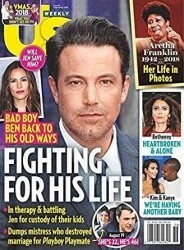 DiscountMags.com is having a $5 Flash Sale with over 90 magazine titles for $5.00 per year. You will also get free shipping and no tax on all subscriptions. Sale ends Sunday night. DiscountMags.com is having a 2-day sale and offering Health & Fitness Magazines starting at only $4.99 per year. You will also get free shipping and no tax on all subscriptions. Sale ends Thursday night. DiscountMags.com is having a Never on Sale Event with up to 90% off premium magazines. You will also get free shipping and no tax on all subscriptions. Event ends Sunday night. This weekend only, DiscountMags.com is having a Friends & Family Summer Sale with over 200 magazine titles starting at only $4.47 per year. You will also get free shipping and no tax on all subscriptions. 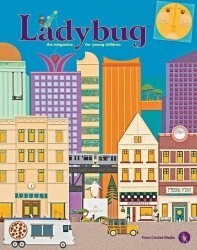 Today only, DiscountMags.com offers up to 65% off Kids & Family Magazine Titles. And, all subscriptions include free shipping and no tax. This weekend, DiscountMags.com is having a Heat Wave Sale and offering over 75 magazine titles for $1 or less per issue. And, all subscriptions include free shipping and no tax. Sale ends Sunday night. This weekend, DiscountMags.com is having a 4 for $16 Sale. 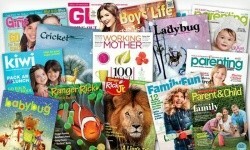 Choose any 4 magazines from over 75 titles for only $16.00. And, all subscriptions include free shipping and no tax. Sale ends Sunday night. 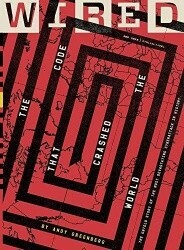 Today only, DiscountMags.com is having a 4th of July Flash Sale with crackling good price cuts of up to 90% off. You will also get free shipping and no tax on all subscriptions. This weekend, DiscountMags.com is having a 4th of July Blowout Sale with over 100 magazine titles starting at only $4.47 per year. You will also get free shipping and no tax on all subscriptions. This weekend only, DiscountMags.com is having a 48-Hour Sale with up to 90% off select magazines. Pay just $4.80 per year for all titles within this sale. You will also get free shipping and no tax on all subscriptions. 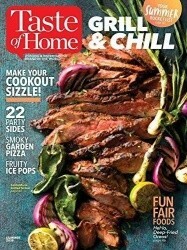 Today only, DiscountMags.com is having a Summer Cookout Sale and offering popular food & cooking magazine titles starting at only $4.95 per year. 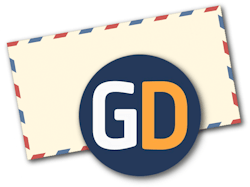 All subscriptions offer free shipping and no tax. This weekend only, DiscountMags.com is having a Multi-Year Sale with over 125 magazine titles starting at only $3 per year. You will also get free shipping on this item. All subscriptions offer free shipping and no tax. This weekend only, DiscountMags.com is having a $5 Flash Sale and offering over 100 magazine titles for only $5.00 per year. All subscriptions offer free shipping and no tax. This weekend only, DiscountMags.com is having their Top 100 Magazine Sale with their most-popular magazine titles as low as $4.95 per year. All subscriptions offer free shipping and no tax. DiscountMags.com is having a Memorial Day Blowout Sale with over 150 magazine titles as low as $4.95 per year. All subscriptions offer free shipping and no tax. DiscountMags.com is having an Employee Discount Sale with magazine titles as low as $3.87 per year. All subscriptions offer free shipping and no tax. Sale ends Sunday night. This weekend only, DiscountMags.com is having a 3 for $12 Shopping Spree with over 85 magazine titles - your choice of any 3 for $12.00. All subscriptions offer free shipping and no tax. Give Mom something she can enjoy all year! 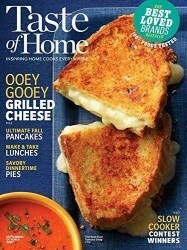 DiscountMags.com is having a Mother's Day Sale with over 40 favorite magazine titles from $4.95 per year. And, you can select a free e-card at checkout to have sent to your recipient to let her know her gift is on it's way. All subscriptions offer free shipping and no tax. This weekend only, DiscountMags.com is having a Dollar Days Sale with over 75 magazine titles for $1 or less per issue. And, all subscriptions offer free shipping and no tax. 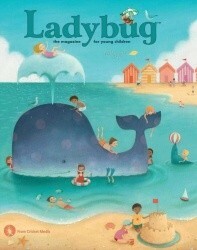 Today only, DiscountMags.com is offering a way to keep them busy with their Summer Break Sale with up to 60% off kids & family magazine titles. And, all subscriptions include no tax and free shipping. 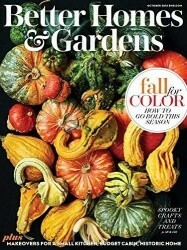 This weekend, DiscountMags.com is having their Almost Never Sale with up to 90% off premium magazine titles. And, all subscriptions include no tax and free shipping. Sale ends Sunday night. DiscountMags.com is having a Multi-Year Stock-Up Sale with magazine titles from $3 per year. And, all subscriptions include no tax and free shipping. Sale ends Sunday night. 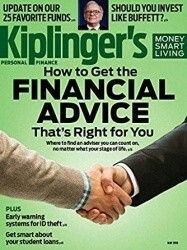 Today only, DiscountMags.com is having a Smart Money Sale and offering business & finance best-selling magazine titles starting at only $4.95 per year. Free shipping and no tax are also included with all subscriptions.